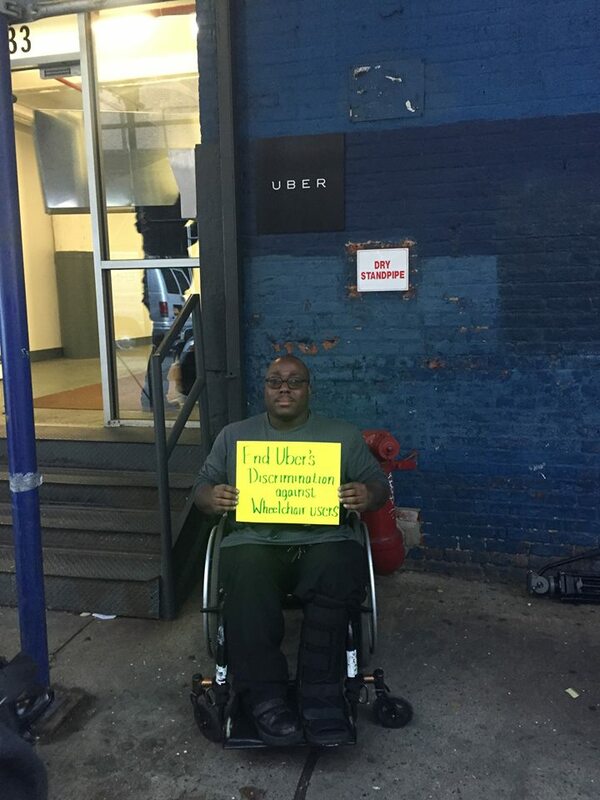 A new ad campaign recently launched by a borough-based disability rights group is taking rideshare behemoth Uber to task for a what the organization characterized as a lack of wheelchair-accessible vehicles and for inadequate service of disabled riders. The 30-second spots, produced by the United Spinal Association and now running on Time Warner Cable News NY1 and other outlets, call upon Uber to make portions of its 30,000-car NYC fleet wheelchair accessible. “We want Uber to do the right thing and be a socially responsible company,” said USA President Jim Weisman. Uber has not provided any accessible vehicles in any city, not just New York, Weisman added. Jones, along with Weisman, contends that Uber has been “pretending” that it provides service to the disabled when, the advocates claim, it just allows users to access city Taxi and Limousine Commission wheelchair-accessible vehicles through its network. TLC is the agency which regulates the City’s fleet of yellow and green taxis. Weisman also believes that Uber is actually trying to replace the City’s network of yellow and green taxis; so the company’s claims of serving disabled riders by way of a network it is attempting to push out, doesn’t ring true. Currently the City has about 13,587 yellow taxis, of which about 580—or 4 percent—are wheelchair accessible. However, accessible vehicles are mandated to make-up at least 50 percent of the City’s fleet by 2020, owing to a settlement reached last February between the City and the TLC, as well as many other for-hire companies. Additionally, Josh Mohrer, Uber’s New York general manager, told HuffPo that the company is currently “looking for an economically viable accessible vehicle that Uber could introduce into its standard UberX service,” although no date was given at that time. But Harry Campbell, a Los Angeles-based Uber driver and blogger/podcaster who runs TheRideshareguy.com to help inform other drivers, said he’s heard more positive than negative comments about the rideshare giant. However, Campbell concedes that Uber’s current system of relying on city-based accessible taxis is far from ideal.